It’s amazing how much our names shape our identities. Many of us grow into the names we are given at birth. Others never feel a connection to their name. But crossdressers and transgender women have the unique advantage of being able to choose their feminine names. There’s a unique story behind every great femme name… and I’d love to hear YOURS! 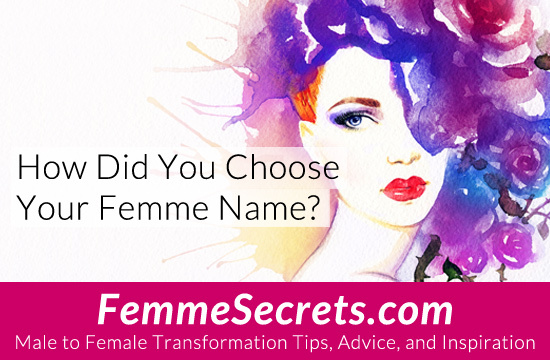 How did you choose your feminine name? Please share your story in the comments below. And for extra credit, include a photo! It’s even better to be able to place a name to a face. Like Sarah, I have gone through several names Such as Stephanie and Jennifer. Rachael Marie is where I landed almost 20 years ago. I liked how it looked and sounded. I have really grown into this name. It has become a key part of my very fabric. I even created an email presence and have been growing more comfortable with the name I have come to love for the woman within. She is very much a part of my inner being even when I present as male. Erin is the female version of my real name. My mother always said if I was born a girl she would have named me Ginger Lynne so I just kept the middle name. So my name choice was pretty easy. I choose Laura after listening to a song. It was a seriously magical. I called my bestie and when I told her she just went quite. After a couple of seconds she told me it was literally the perfect name for me. 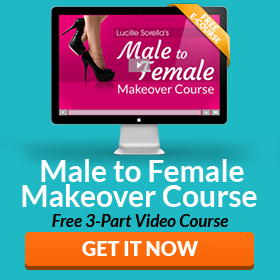 I have been cross dressing all my life…53 years now!!! And during that time I have used many names and loved them all. My favourite 34 are Sarah, which I am currently using, Vicky my first name. Kitty my second name and Roxanne which was my third name. And why not? When we, as trans people, put on our frillies we can be who the hell we want to be.